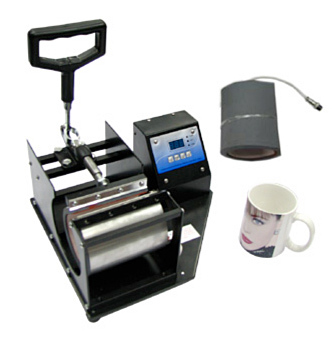 The Mini Mug Press is an entry level mug heat press. It's called Mini Mug Press for its small footprint (approximately 1 square foot) this little mug press will press virtually any mug (full wrap - top to bottom). This mug press is ideal for hobby mug makers and light duty use. Note - A glazer unit is also needed for color laser copier transfers.